Directed by Marc Forster. With Ewan McGregor, Hayley Atwell, Bronte Carmichael, Mark Gatiss. 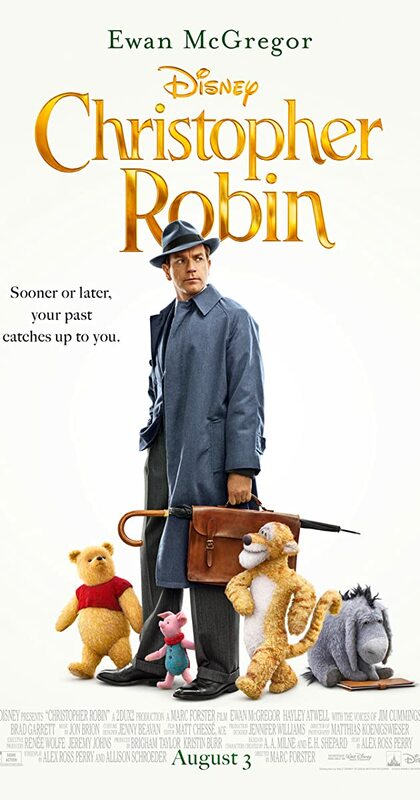 A working-class family man, Christopher Robin, encounters his childhood friend Winnie-the-Pooh, who helps him to rediscover the joys of life.